August 2, 2013 • 11:15 am Comments Off on How Did We Get Virgil Wrong for So Long? How Did We Get Virgil Wrong for So Long? 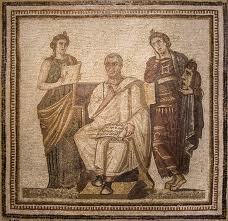 The closest thing we have to a portrait of Virgil is an imperial-era mosaic, discovered in Tunisia. 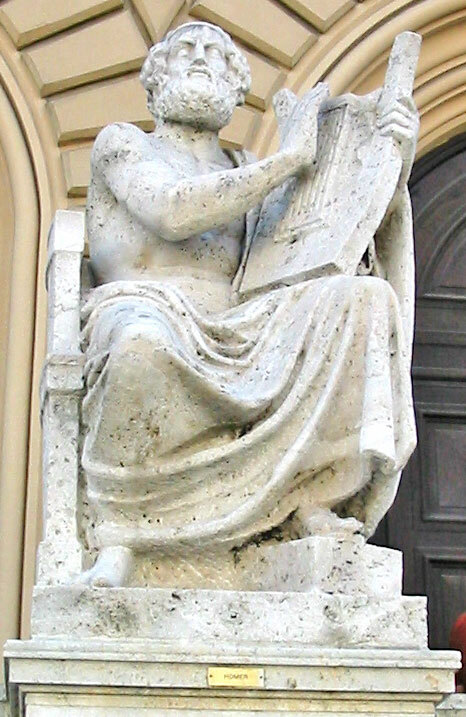 In the center sits a somber Virgil, with the Aeneid open in his lap, flanked by muses. On his left stands Clio, the muse of history; on his right, we might expect the muse of epic poetry, patron of Virgil’s chosen medium. Instead, the artist has given us Melpomene, the muse of tragedy. It is the perfect iteration of Virgil’s message to us: that history is more tragedy than triumph. For two thousand years it has been hiding in plain sight.